It is finally here! 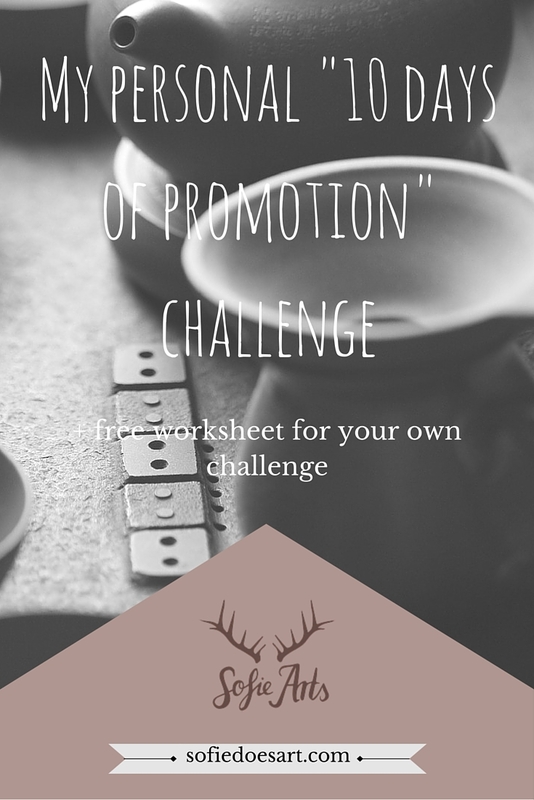 Part two of my personal ’10 days of promotion’ challenge. To celebrate make sure to get your own worksheet at the bottom of this post! Haven’t read the first part yet? Read it here first then come back for more here! The 10 days of promotion challenge is great to give your blog that boost it needed for when you feel you are stuck on a platform! Now without any delays day 6 til 10 of my 10 days of promotion challenge. Finishing a thing is hard. I a still practically nowhere which is quite frustrating. I am trying out a new Pinterest strategy which is just based on following the right people. I must say that I have seen some increase in following but overall it isn’t like growing madly. I have been quite a fed up with Pinterest new dashboard and when I wanted to try promoted pins it told me it wasn’t available yet for the Netherlands. I did update my Pinterest name from just Sofie Arts to Sofie Arts l Blogger, Creative & Artists. I wanted to be a little more clear as to who I am and what I do! I think this has made it much more likely for people to find me and follow back! Twitter, however, has been growing madly which makes me a happy little tweeter. I send out around 5 tweets a day scheduled and some random through the day. I think my biggest interaction come from using the hashtag #entrepreneur but I have been trying to reach out more as well. My stats are still rising! With 50 views at 4 h o’clock pm, this is definitely one of my better days. Unfortunately, jetpack and google analytics seem to get weird again but I am still very excited about seeing good stats somewhere again. DevaintArt has been doing good, I have been uploading more work but I also have been interacting more frequently. This is also great for writing the ebook about digital art promoting. I should ask for some quotes from some friends soon . After my promoting in facebook groups yesterday I got to 101 views on my blog!!! This is almost as much as I had at the beginning for the entire month. Today I really want to keep this going. I want to promote on facebook & twitter and work on my Pinterest tactics. Pinterest seems to be the hardest because I feel like my pins just disappear in the void. I think I should maybe make some more templates so my pins have more variation in them. I installed sumome to hopefully make a lot of non-intrusive solutions get people to connect. I personally am not a big fan of popups and such so I tried to keep it subtle. I think that creating freebies, for now, should be my biggest focus after this challenge. Today was just another promoting day. Because it was kings day today I had a little break but I did promote in a StumbleUpon link-up (and had my first traffic from there) and in an Instagram thread. I have been working on my editorial calendar and schedule for the last 2 days. 1 free month of tail wind? Sign me up! With my new Pinterest clean up and trying to follow more relevant people I have increased my Pinterest following now steadily. Today I still not have any traffic from Pinterest but with steadily adding pages to stumble upon I have been seeing traffic from there. I also ordered a new camera and it is such a beauty. Hopefully, I can now make better pictures of my artwork. Improving my site has been a good move especially since the post I made about it has done very well! I now I hope to have prettier blog photo’s as well. Even though part of that is also improving my skills. I tweeted my Pinterest, kept pinning and liking and followed a lot of new people. I would love to make today the first day of Pinterest traffic so I can actually say I did that as well. I scheduled a lot of tailwind stuff. I also tried to follow more related people. I also needed to write a lot for my blog post and trying to sort out the whole thing! I also needed to write a lot for my blog post and trying to sort out the whole thing! I have been trying to get the freebies up and I got my email newsletter out which was also great. Creating freebies is one of my favourite things to do, but getting them up not so much. Still I want to create a wealth of resources so I keep creating them. p.s. Did you know; I am working on the full guide to online art promoting for artists! I talk about everything from platforms & etiquette to how you can create multiple income sources! If you want to know when it is out, make sure to subscribe to the newsletter here. Some things go well, some things fail. I did not reach out to all the people I would have wanted to, still feeling crippling shy sometimes. The good news is that my stats are a lot better now and they don’t just drop if I promote a little less on some days. I even have high hopes of hitting a 1k month of pageviews next month! Overall this challenge helped me actually doing something to improve my results. 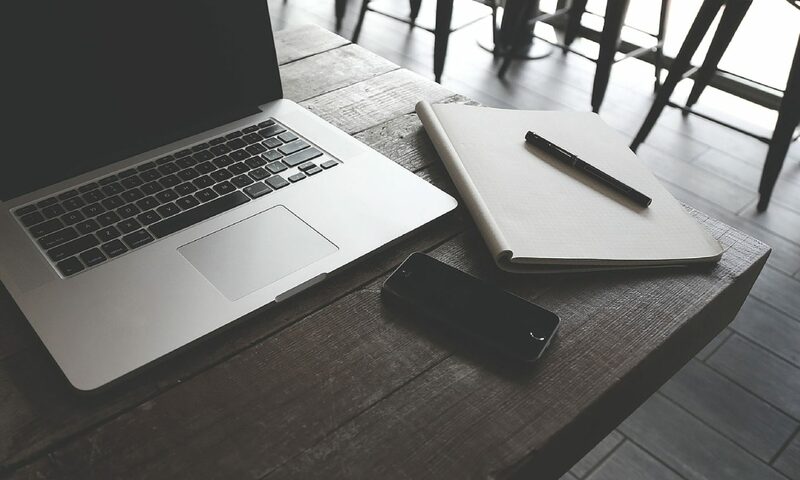 Getting out there and promoting yourself can be scary and a lot of work. Sofie may I ask your opinion about Facebook pages for artists? First of all do you have one and is it better to join the right groups rather than have your own and always wondering what to put on it. It seems to me you can only reach a lot of people if you pay for boosts. Your challenge is a great idea. I’d love to do something with StumbleUpon. Hi Catherine! I don’t have a page on Facebook for my art. Facebook is something that a lot of my old classmate can find me on and I didn’t have the most positive time at school so I rather keep my art away from there. Second, I think joining groups is just a great way to connect with new people so I would definitely do so. Making your own Facebook group can be a lot of work and if they get bigger you are probably going to need moderators as well! The way Facebook work now you only get found if your readers/followers are willing to share your stuff a lot or indeed paid. But if you have fun with the platform is definitely worth a try. I hope this helps ! Thank you so much for reading Catherine. p.s. StumbleUpon is super easy! I highly recommend trying it! Sounds like you have a great strategy. I’m new too. Will be following some of the things you did to promote my blog! Hi Cathy! I am really glad this helped you! I wish you the best of luck and Let me know if I can help you with anything! It looks like you are doing amazing already though! Look into links how are your pages linked? This is your foundation for more page views- I have been writing a series on Linking. Linking can make or break you. It can be a complex subject and I have tried to make simple and relevant for the blogger. At the Blogger’s Pit Stop we love to encourage and promote our bloggers. Being featured, we have a push on that this week, will give the blogger exposure and at least 4 unique backlinks. Keep up the good work pushing ahead.